It’s the rainy season in Seattle—the time of year when I’m looking for ways to stay creative even on the gray winter days. One solution is shooting with three Sigma mirrorless 1.4 primes. Taken with the Sigma 16mm F1.4, I shot the Seattle skyline from a vantage point you probably haven’t seen before. Around 3pm, there wasn’t much light left but I enjoy the challenge of the short days. I call writing and photographing during the winter, dreeping in the rain. Famous Seattle musicians created a genre about it and called it grunge. The wet weather is also why we drink so much coffee. @swedishbeast taken with the 56mm at ISO 500, 1/125s and f1/4. 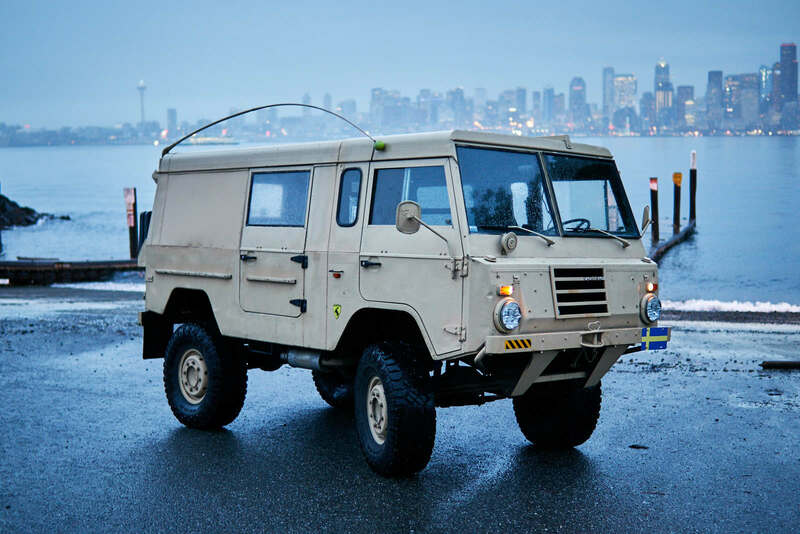 On an even drearier day I had a shoot to do with a Volvo Unimog for a marketing website and took 3 Sigma mirrorless 1.4 primes with me. 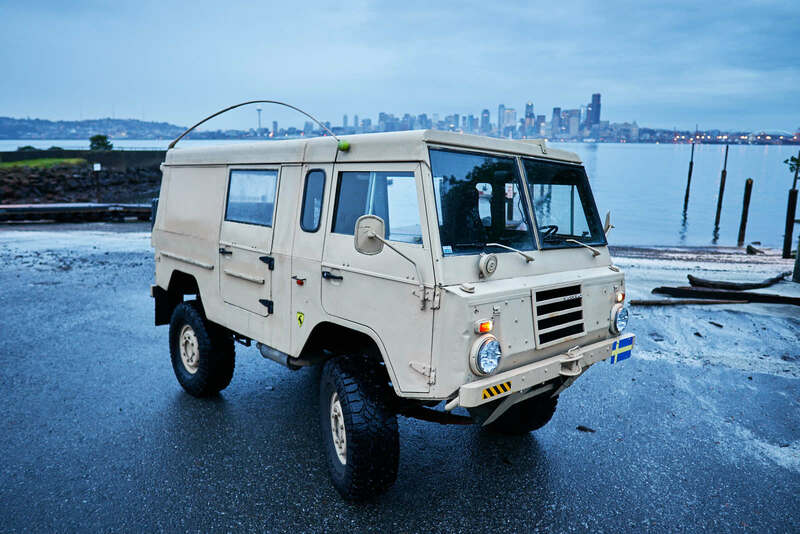 The chosen location was a boat dock across Elliott Bay so we could capture the downtown skyline in the frame. With the 16mm, 30mm, and 56mm in my bag, I composed the scene with each different focal length. 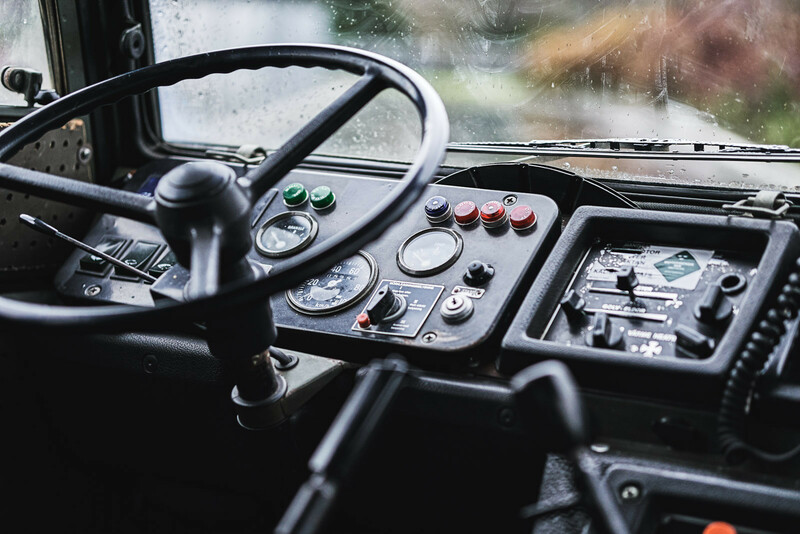 The 56mm allowed for beautiful bokeh while making the interior images of the dashboard. @swedishbeast Taken with the 16mm at ISO 100, 1/30s and f1/4. I also shot wide open. Not that long ago, shooting wide open at f/1.4 was unheard of. A photojournalist would shoot between f/8-16 because that aperture has more depth of field and is more likely to capture an in-focus image. Because I started my career at trade shows covering tech, I never want to see another photo of a gadget with distracting crowds in the background. During those gigs, I wanted to create as much bokeh as possible. Shooting wide open like that created a style that stuck with me—it’s now reflected in most of the photos I take. 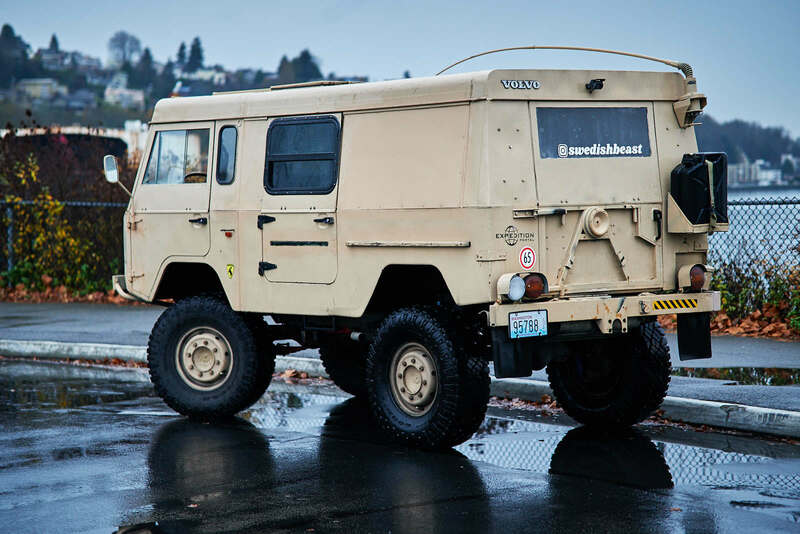 @swedishbeast taken with the 30mm at ISO 100, 1/30s and f1/4. The fast-aperture, wide-angle 16mm prime lens is the first lens offered for Sony E-mount systems to feature a F1.4 aperture. Lightweight and compact, the 16mm F1.4 is equipped with a stepping motor designed for fast, ultra-smooth, and accurate autofocus performance for both still and video capture. While designed for Sony’s APS-C cameras, it works just fine on the full-frame a9 I used. The 16mm ships with a dust and splash-proof mount, nine rounded aperture blades, advanced lens coatings to minimize flare and ghosting, and a reversible and removable petal-type hood. Made in Japan, the 16mm sells for $449. 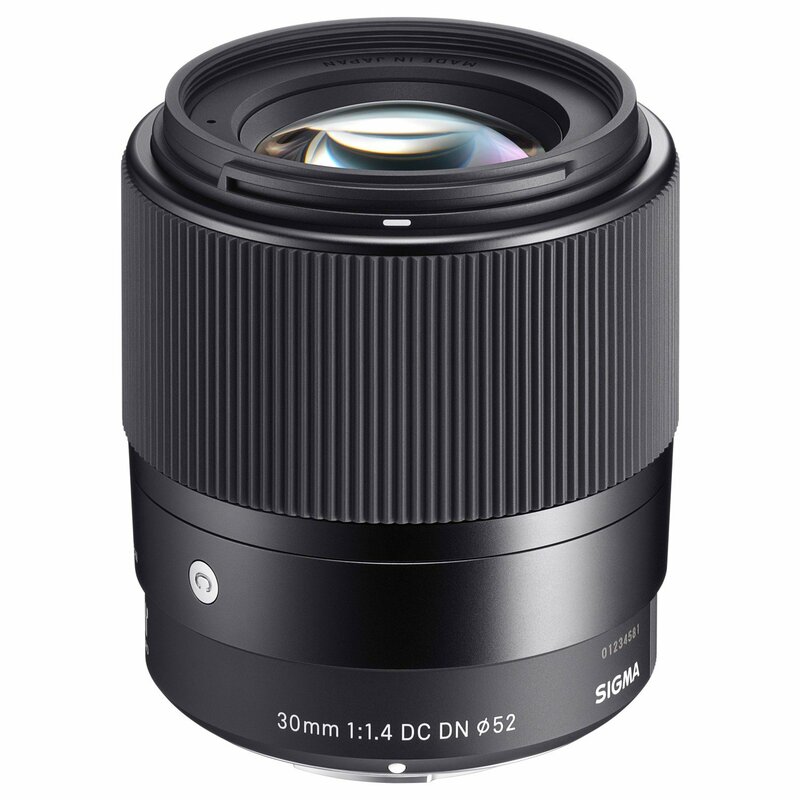 The Sigma 30mm F1.4 lens gives the same angle of view and greater depth of field at the same aperture as a 50mm lens does on a film camera, making it far more adept than other bulkier setups. On the full-frame sensor, I’ve got a 4800 x 3200 image to work with in post. Connecting natively, there are 30 functions including face detection and Eye AF. The focus by wire system with MF assist turned on meant I could quickly get the frame in focus and get out of the rain by spinning the rubberized focus ring. In my opinion, the best thing about the Sigma 30mm—besides its price point for a prime—is that it fits inside a handlebar bag on my bike and I can take it wherever I ride. The 30mm retails for $339. 56mm F1.4 DC DN Contemporary. 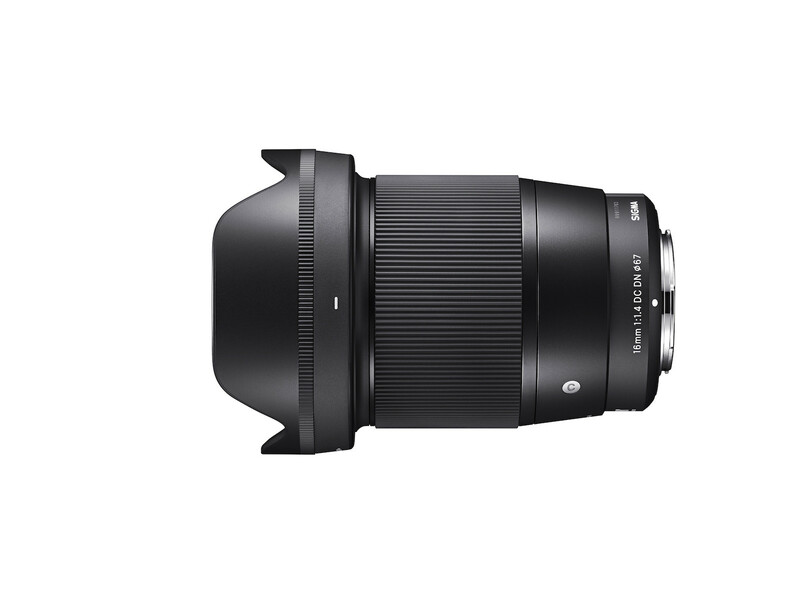 The Sigma 56mm F1.4 DC DN Contemporary lens completes the Sigma large-aperture kit of portable wide-angle primes. Like the 16mm and 30mm, it features a compact design, is lightweight, and has outstanding image quality. The beautiful bokeh effect and the amount of brightness from the F1.4 are what makes this lens special. In addition, the autofocus is smooth and quiet. 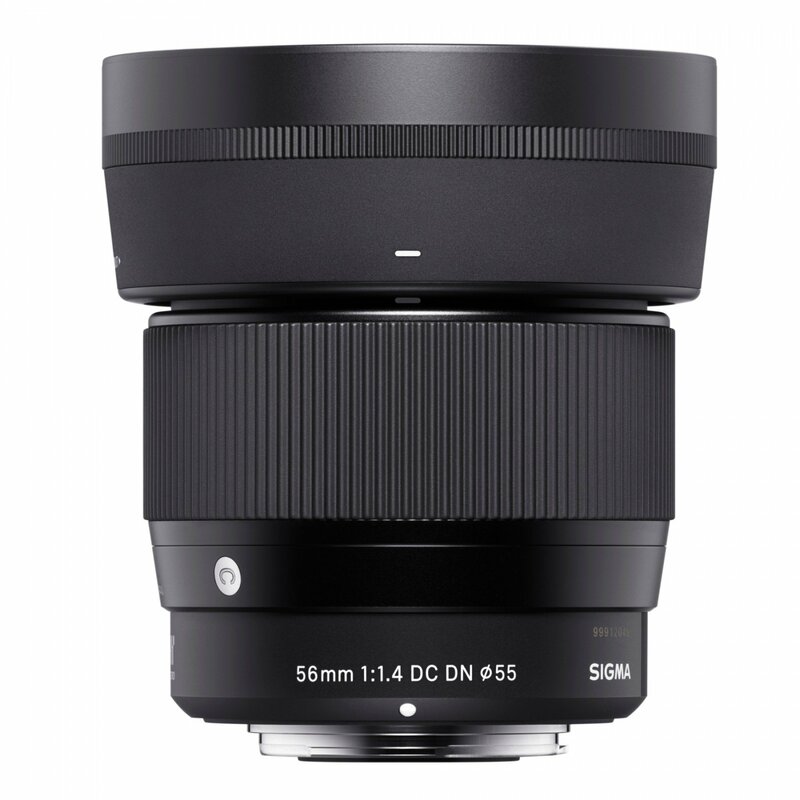 Like all of Sigma’s E mount lenses, the 56mm is compatible with Fast Hybrid AF and precise AF tracking. Using the face recognition and eye AF functions of the camera, focus is continuously on the face or the eye even if the subject moves during the shoot. The 56mm is a value lens at $479. 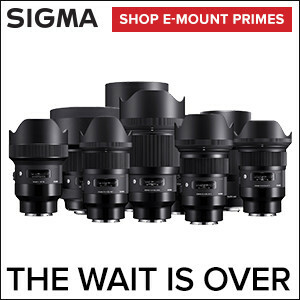 Find Sigma’s fast primes at a dealer near you and online from retailers like Adorama. With these three primes, I got my shoots done, even though I was dreeping in the rain.